It’s been an exciting morning aboard the ship today. 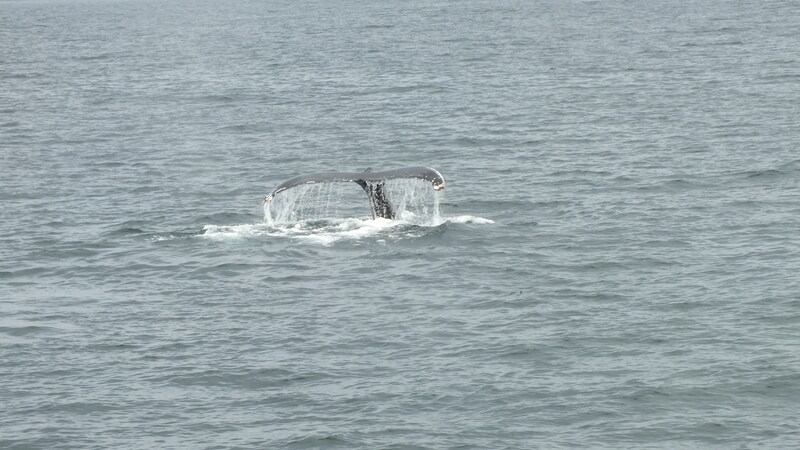 Over breakfast and for the next hour we’ve seen dozens of humpback whales traveling along side the ship. Funny that a bunch of strangers sitting in the dining room are suddenly drawn together as we all gathered at the windows, oohing and ahhing over the whales. We went from quietly minding our business to chattering about all the wildlife we’ve seen on this trip and how amazing Alaska has been. I’m not sure what Caribbean cruises are all about (maybe beaches and colourful drinks with umbrellas in them? 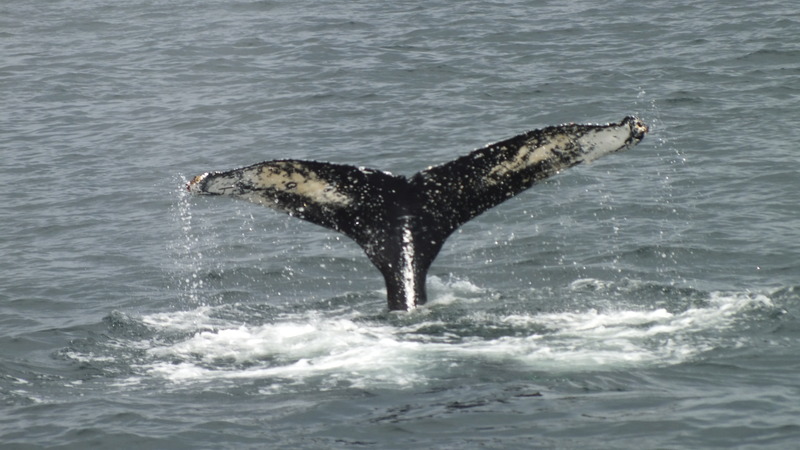 ), but Alaska cruises are certainly about magnificent wilderness and wildlife. 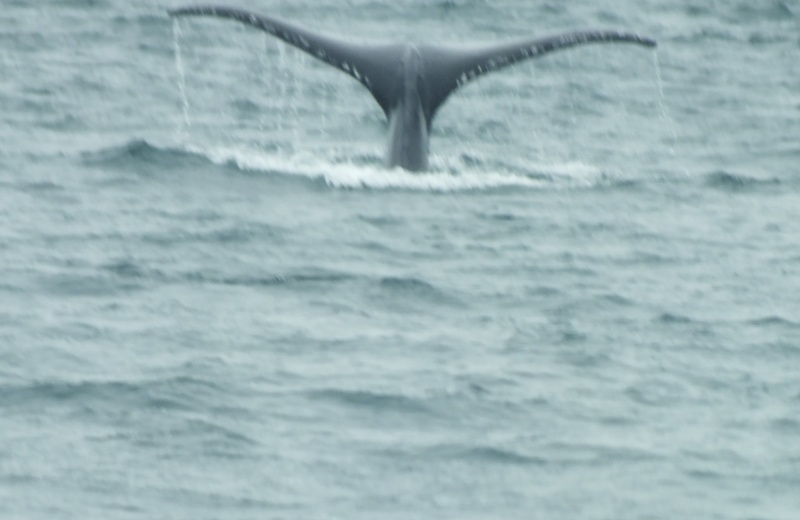 Here are a couple of our better whale pictures from the last few days. Oh, and i should make special mention here, my husband has taken all of the picture you’ve seen here. He’s been great manning the camera while I get all caught up in watching the animals. Tonight after dinner we’re going on an orca watch trip off the coast of Victoria, BC, so hoping to get some better pictures of those. 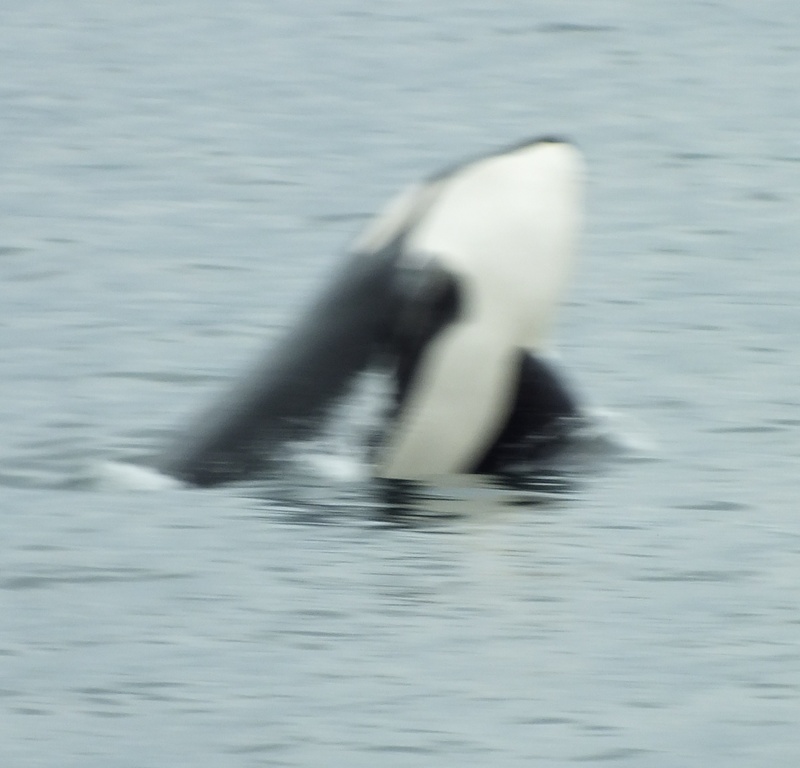 The one above was a surprise visitor to the inlet at Sitka. Folks said it was unusual to see one there so we felt pretty lucky to have seen it and get a handful of pictures. Am almost out of internet minutes here and we’re off the ship first thing tomorrow morning for a noon flight back to Toronto. Will post more pictures and some stories next week.